This week we had plenty of official news posts on the official Albion Online homepage. Lets take a look. In what seems to be a new segment on the official website, UrzakeFrostgard writes a nice article, introducing three fairly unknown guilds: GoodFellas, Rangers of Celidon and Iron Bank. The GM’s of those guilds however, are no strangers in the community of Albion Online. While not many may have heard of RangerDovefalcan yet, Kutweer and Sharka are both veterans who have been playing Albion Online since early Alpha and are well known and respected in the community. I recommend reading the nicely written spotlight, if you want to know more about those guilds. And good luck with your guild endeavours! 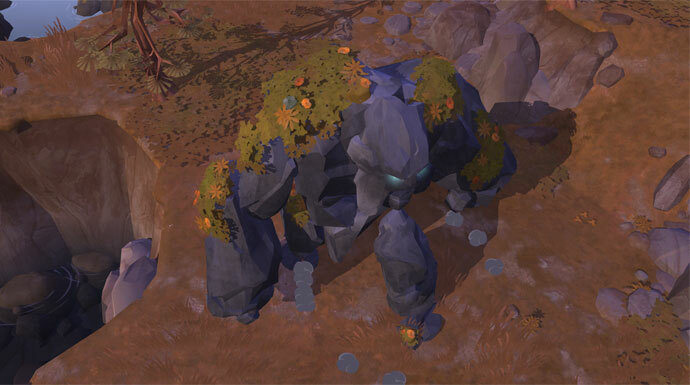 Enya does a nice writeup of the different open world bosses, which are called Guardians. Check out the initial newspost for more details on HP, skills and more pretty screenshots! In what seems to be a new segment on the official Albion Online homepage, we get an interview with Nausk, who is most famous for his solo ganking Blackzone Tales YouTube videoseries. Check out the link to the spotlight, if you want to know more about Nausk or the link to the videos. The official servers recieve a ‘massive hardware’ upgrade & Hector Patch #2 live. In addition to that, Hector Patch #2 went live on the main server. We already posted a Patchnote Comment post about it yesterday. Here is the link again in case you missed it. We are still working on our next podcast episode which will feature the second part of the interview with KingMojo and Norzor of Red Army! If you want to hang out and chat with us or if you have any cool things we should mention here or on our podcast, make sure to join our discord! In today’s podcast Bogul and Shozen take a look back at the early days of Albion Online discus how it has changed over the years. Bogul still pines for QOL changes and Shozen tries to apologize for last weeks comments about the map. Shozen and Bogul wrap up the PvP events leading up to Hector. Veton gets 15 minutes of fame, Red Army conquers all, and giants battles in this weeks run down.